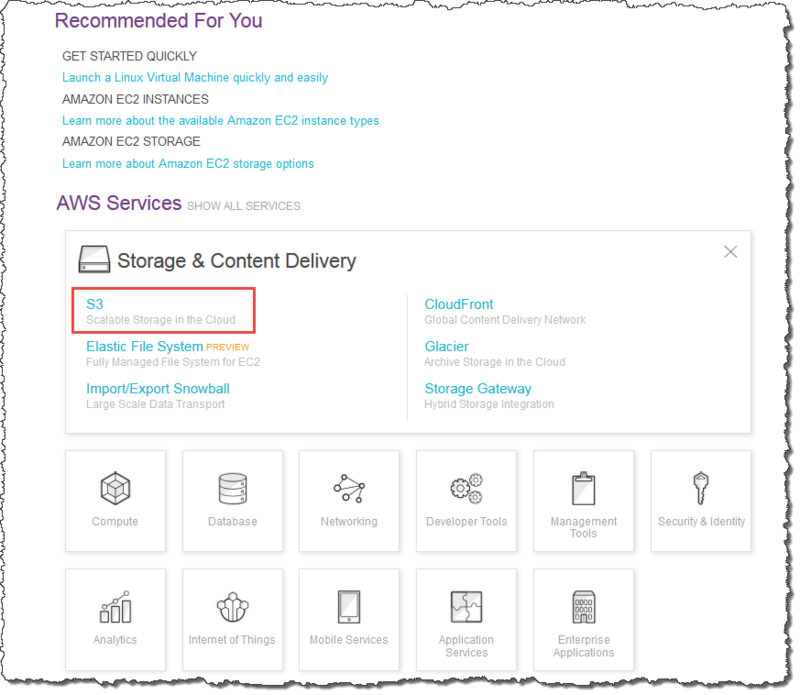 This quick start guide uses a new version of the AWS Management Console that is currently in preview release and is subject to change. 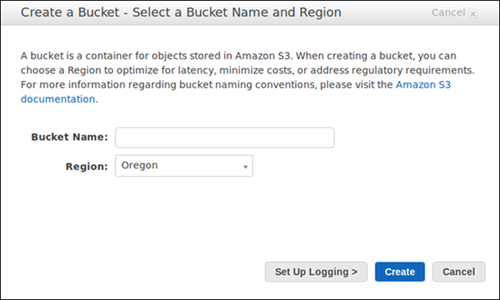 First, you need to create an Amazon S3 bucket where you will store your objects. Sign in to the preview version of the AWS Management Console. 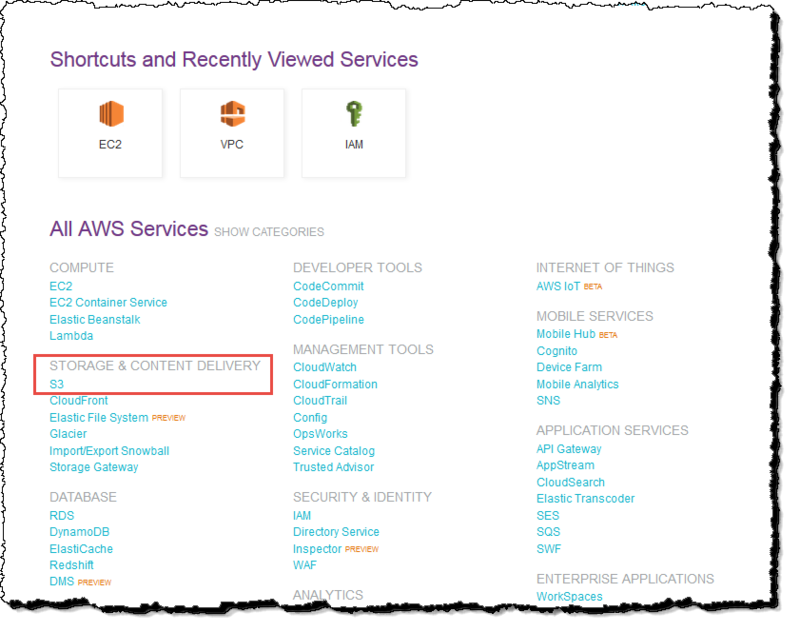 Under Storage & Content Delivery, choose S3 to open the Amazon S3 console. From the Amazon S3 console dashboard, choose Create Bucket. In Create a Bucket, type a bucket name in Bucket Name. The bucket name you choose must be globally unique across all existing bucket names in Amazon S3 (that is, across all AWS customers). For more information, see Bucket Restrictions and Limitations. When Amazon S3 successfully creates your bucket, the console displays your empty bucket in the Buckets pane.